The bathroom is one room in the home that hardly ever has enough storage space. No matter how big your bathroom is, you will always have the need for additional storage and organization. There are a number of ways to add storage and organize your bathroom without spending a fortune and without needing a lot of floor space. Just a few little tips can drastically change the look and function of your bathroom. Whether you need to learn more space saving ways of folding towels, need to organize the area under your sink or you need a great way to store makeup that keeps it handy, we have a lot of tips for you that will help you to really get that bathroom neat and tidy. Many of these organization solutions take little to no money and very little time. They will however, help you to solve storage issues and keep the bathroom clean and neat. Put a book shelf above your door for extra storage. Keeping curling irons, straightening irons and even blow dryers safely stored can be difficult. After all, you can’t very well put them away in a drawer or cabinet while they are hot. A good solution for this is to take a metal file box and use it for storage. You can easily hang the box from the wall or side of a cabinet by just cutting holes in the back and using Command hooks for hanging. Metal file boxes are non-flammable which make them a great choice for storing those heated appliances and you can keep them within easy reach of the bathroom mirror. The metal boxes look great and give you the perfect storage solution for items that are normally a bit difficult to store properly. If you are lacking for space in the bathroom (and most of us are) you can build your own behind-the-cabinet-door storage. You will just need to determine the size of shelves that you need and build them with a front to keep things from falling out. This lets you store toilet paper, bandages or anything else that your medicine cabinet won’t hold. You can create beautiful bathroom storage containers by simply gluing rope to old coffee cans. The great part is that if you drink coffee, you may already have the cans on hand. Just glue rope to them and to really make the look unique, use cans of different sizes. These are great for holding brushes and combs, lotions or even those curling irons when they are not in use. Keeping your hair styling tools up and out of the way not only saves space but helps you to keep them from getting damaged. You can easily build storage for hair tools inside a cabinet with just a few key essentials. If you have a power outlet near the cabinet, you can drill holes in the back of the cabinet and stick cords through so you will always be able to find the cords and they won’t get tangled during storage. 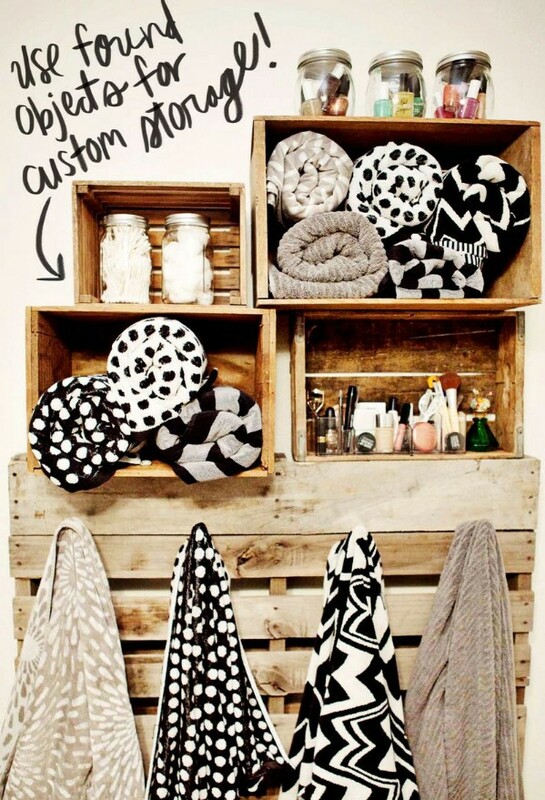 Want to really make your bathroom look organized? Paint it. 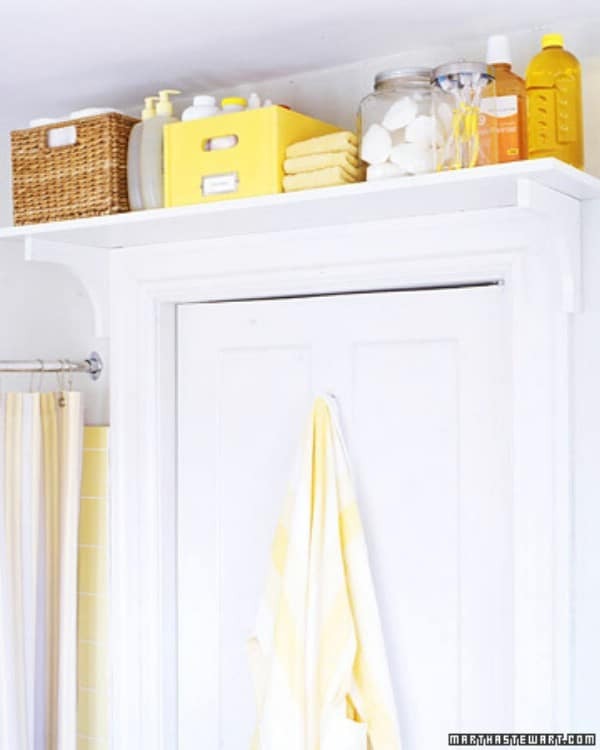 The combination of yellow and gray works well to make the bathroom look a bit more spacious and let’s face it, they’re just lovely colors when combined. These are great colors if you are looking to add virtual space to the bathroom or if you just want something a bit elegant to give your bathroom that sleek and clean look. 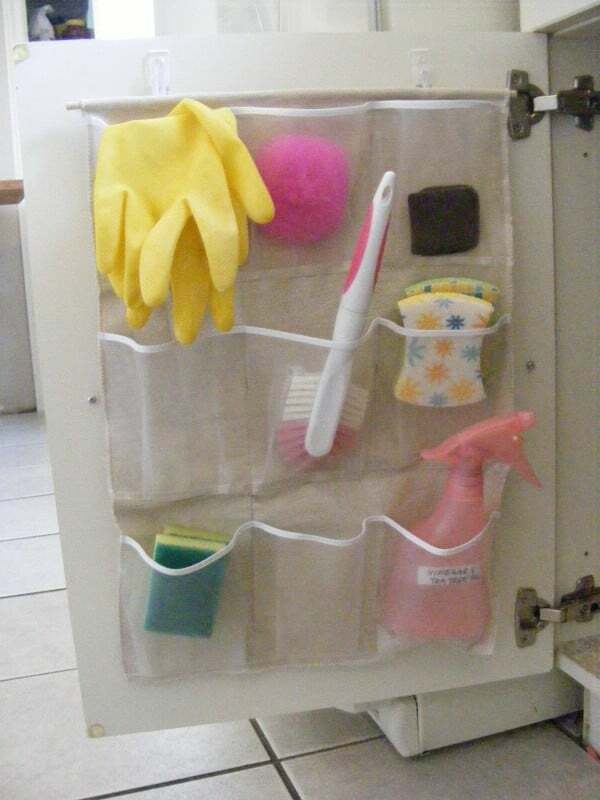 Put an expandable organizer under your sink. 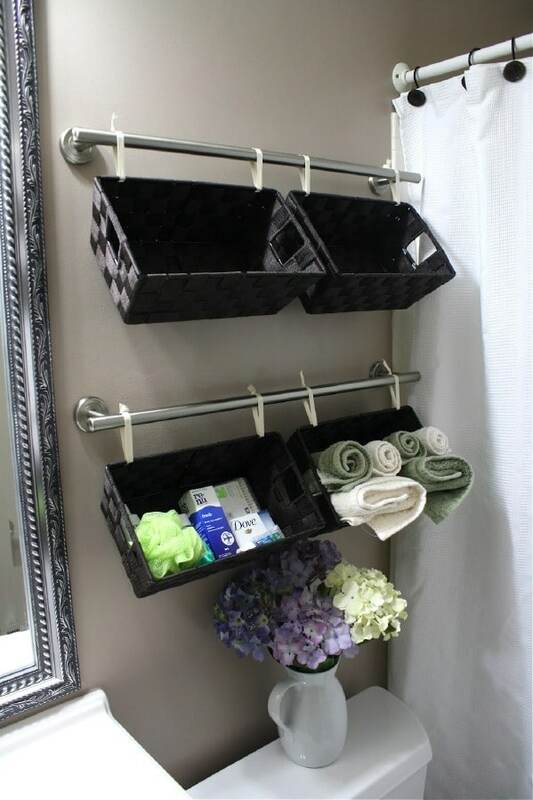 You can pick these up really cheap and they have plastic shelves that are supported by metal piping so they are sturdy enough to hold anything that you need to store under the bathroom sink. Some models give you up to 10 adjustable shelves so you can make the shelving as high or low as you need. This is a great way to free up some space and get things organized. 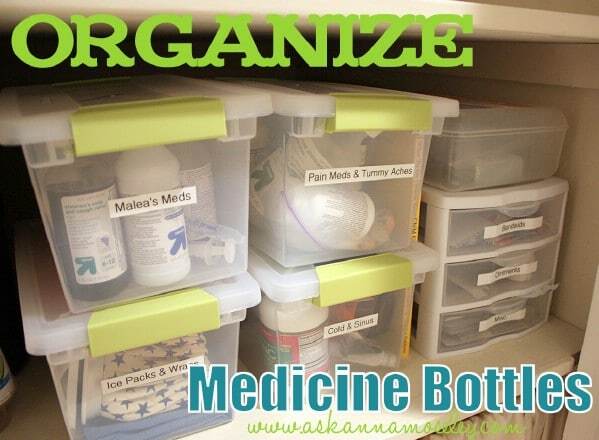 Keeping medicines organized can seem difficult. The first step in organizing your medicine cabinet is to go through and check the expiration dates. Throw out anything that has expired. Now that you know what you have to work with, you can organize medicines by type or by the person who takes them. Just place appropriate medicines in a plastic container that will fit on your shelf or under the sink and label each one. This helps you to easily find the medicine that you need and ensures that all of your medicines are within a safe date. 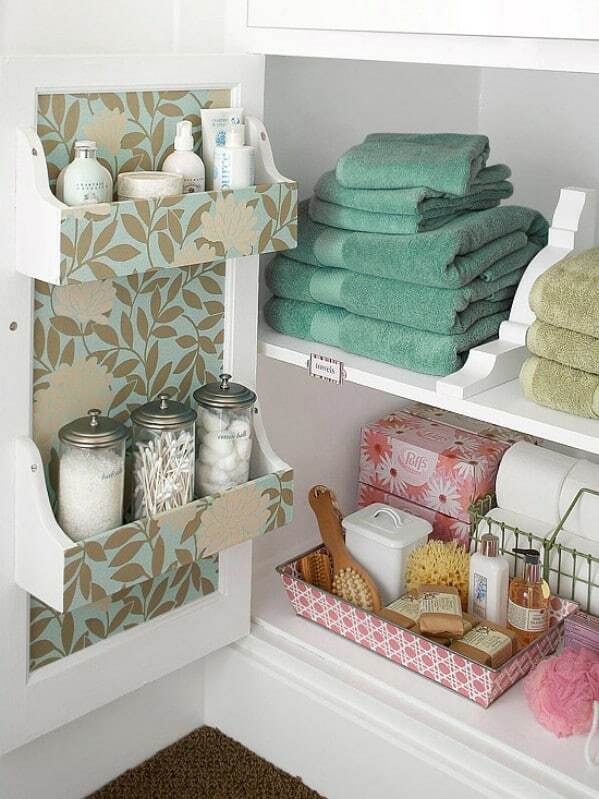 Bathroom organization and space saving is not nearly as difficult as it sounds. 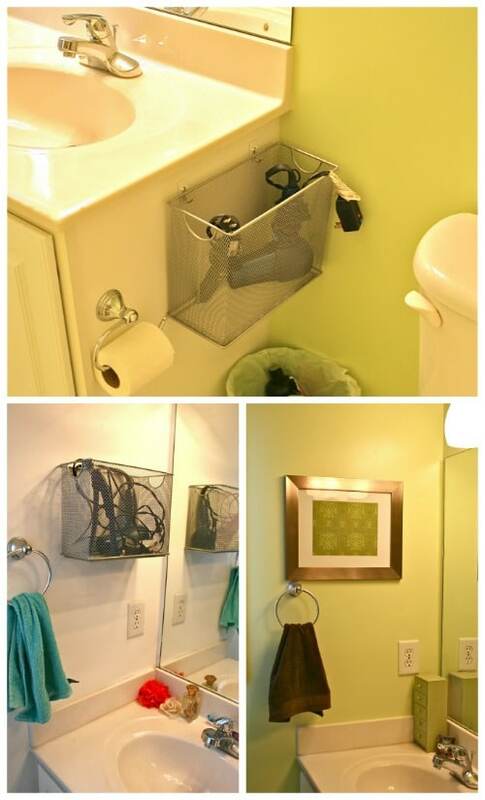 If you have room on the walls, why not mount baskets to keep things neat and tidy? 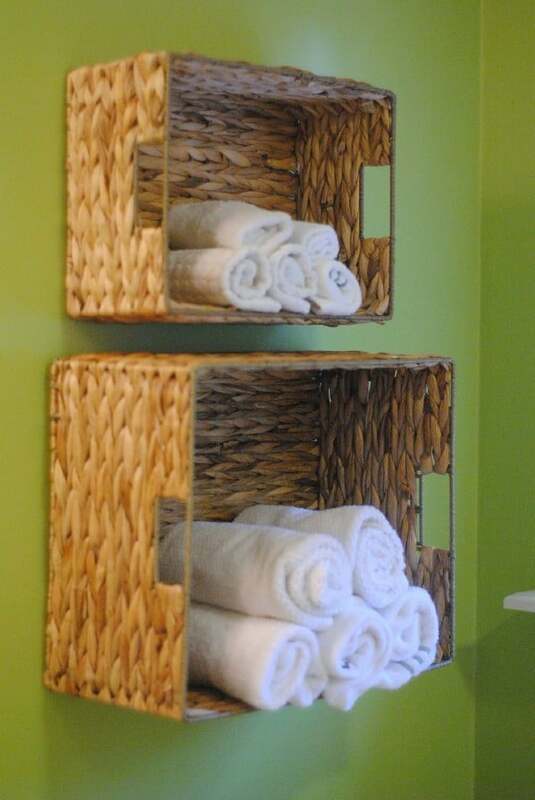 You can have baskets for towels and washcloths, shaving supplies or just whatever you need additional space to store. If you have kids, give them each their own basket to keep their bathroom supplies within reach. Baskets are easy to mount on walls and look great as bathroom décor. 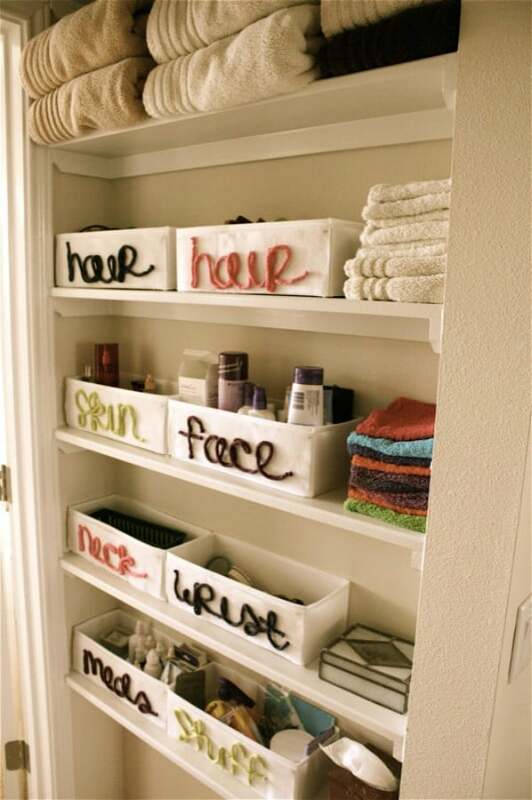 Personalizing your bathroom and keeping it organized really can go hand in hand. 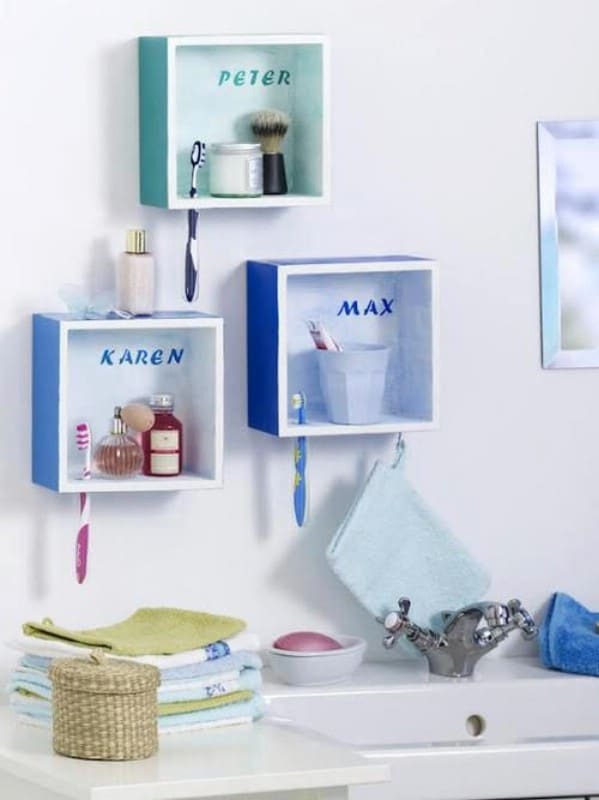 If you have a bit of space on the wall behind your toilet or sink, consider personalized boxes. You can have a box for each person in the family and keep toothbrushes, cologne or anything that you need within reach. This is a great idea for kids’ things so they can get to them easily without having to be able to reach the medicine cabinet. It doesn’t really take a lot of time or money to get a new bathroom. With just a few changes, you can have a completely updated look that is well-organized and beautiful. 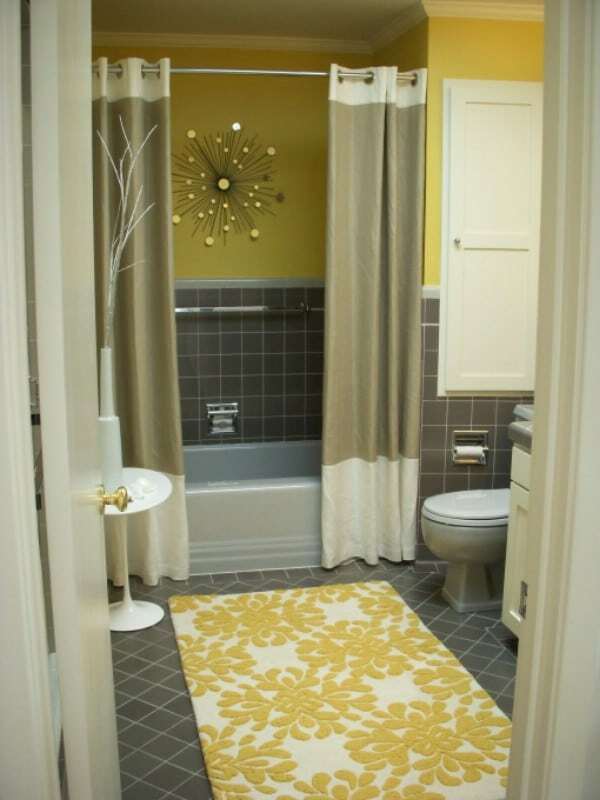 A new shower curtain and new rugs will instantly change the look of the room without costing too much. 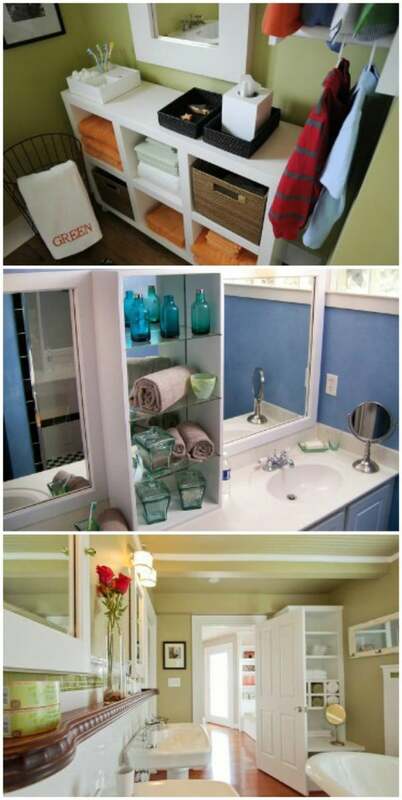 You can also think about changing or redoing your vanity and adding shelves for more storage. If you have men in your house, chances are that there is always some reading going on in the bathroom. 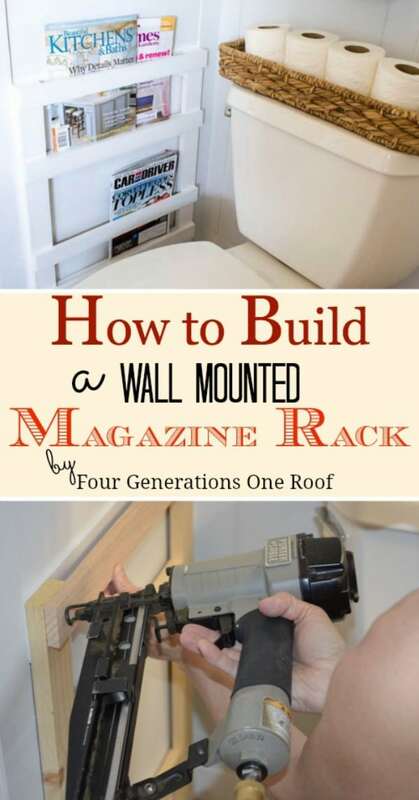 Instead of having those magazines piled up on the back of the toilet, think about building your own wall mounted magazine rack. This is a really easy project to undertake and it will help you to keep bathroom magazines organized so that whoever reads them will be able to find what they want easily. Wicker baskets look great in the bathroom. In fact, you can mount them on the wall and have instant towel storage. They will hang up with just a few strategically placed screws and will hold your towels beautifully. 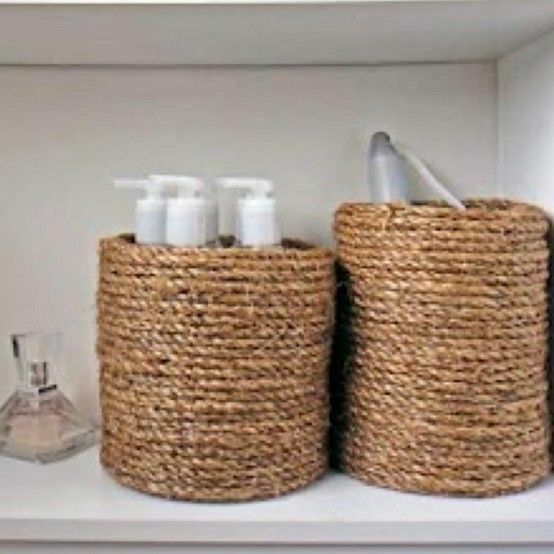 If you have little room for storing towels or you just like the look of wicker baskets, this is a great way to get your bathroom organized and give it a little décor boost as well. Small crates make great storage solutions. You just need to find a few wooden crates and then paint them whatever color you want. Use screws to mount them sideways to the wall and you have a great country looking décor idea along with a bit of extra storage. These would be great for holding bath sponges and other things that you may not have room for elsewhere. You don’t have to keep cotton balls and other essentials hidden from view in order to keep your bathroom neat and organized. 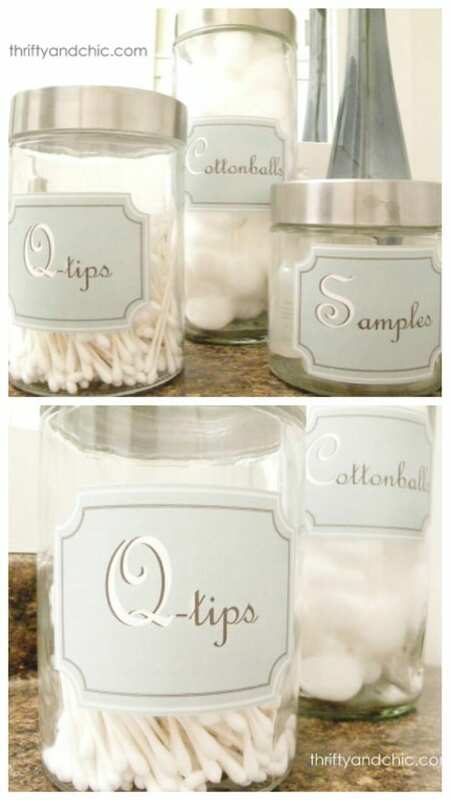 Why not consider putting them in apothecary jars or mason jars and have them right there on the vanity? If you take the time to print out attractive labels, you can keep things in plain view and still make your bathroom look tidy. If you don’t have a traditional linen closet in your bathroom, you can just make one yourself. Pick up a bookshelf or something similar, paint it the color that you want and then you can use baskets and other items to keep everything perfectly organized. The great part is that you don’t need a huge bathroom or a lot of extra space in order to make it look like you do. Via: Better Homes and Gardens – Organize This: Linens! If you have a relatively small bathroom and just don’t have room to put in cabinets, you can actually hang baskets of different sizes from the wall and give yourself storage space without taking up floor space. This is an easy project that requires very few supplies. Just grab three or four baskets in different sizes and hang them with heavy cord or twine. Think about turning your built-in cabinet into a really organized bathroom shelf. You just need to buy baskets or you can build boxes that fit perfectly onto the shelves. Then just label them so that you know where everything goes. 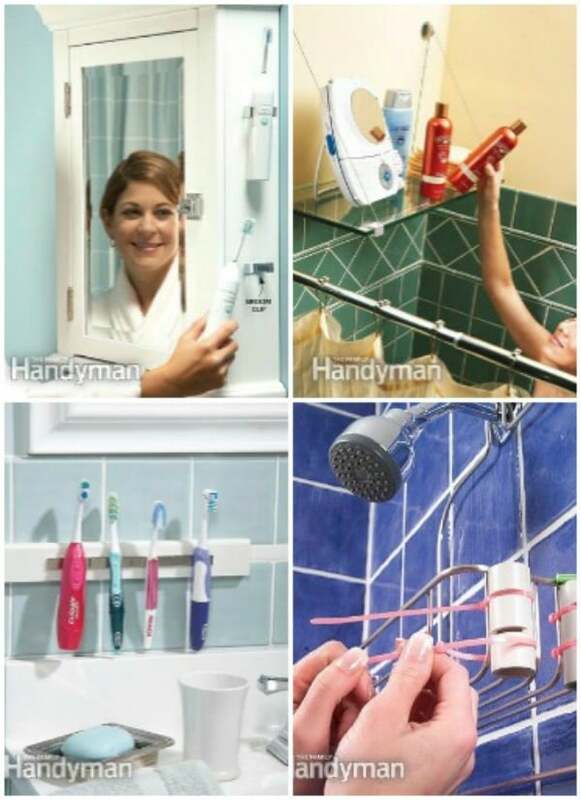 This will clear up a lot of clutter and leave your bathroom looking bigger because it will be completely clutter free. 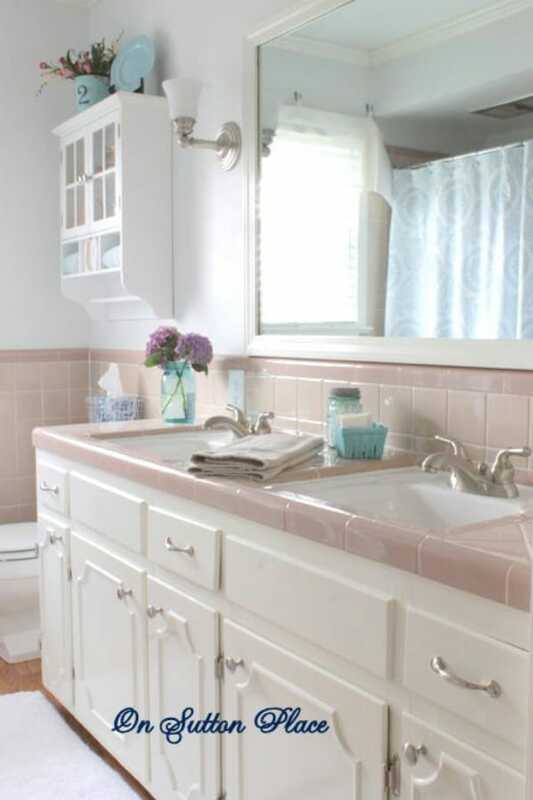 Sometimes the color of your bathroom can cause it to look small and cluttered. Think about giving it a fresh coat of paint, in a lighter color. If you don’t have a vanity, add one. You can get these in all sizes and price ranges and they give you additional storage space so you can keep things out of sight. Just a few key changes will change your bathroom from dull and lifeless to extravagant and best of all – organized. There are so many wonderful ways to add storage to a small bathroom. You can add a quaint holder for towels and other essentials to the back of the toilet or think about putting in an upright shelving unit between double sinks. When looking for additional storage space, always check out the walls and see where you may be able to utilize empty space to your advantage. Instead of having your toothbrushes in a cup on the counter, why not keep them in the medicine cabinet? You can carve out slots in wooden shelves to hold toothbrushes or even razors if you need additional storage. Glass shelves in the shower give you room to keep shampoos and conditioners out of the way and there are a number of storage solutions for hair care products and supplies. Who would have thought that rope could be a beautiful bathroom decoration? You can make towel holders and many other things out of rope. You just need fiber rope and you need to know how to tie a knot. With just a bit of creativity, you could solve some of your bathroom storage issues and give the room a great new look. If you need storage in the bathroom and you want it to be unique, think about hitting flea markets and yard sales. Wooden crates and mason jars make wonderful storage solutions. You can stack the crates or mount them to the wall and mason jars are great for keeping cotton swabs, cotton balls and a number of other bathroom supplies neatly organized. Plant holders make great hair styling supply holders. 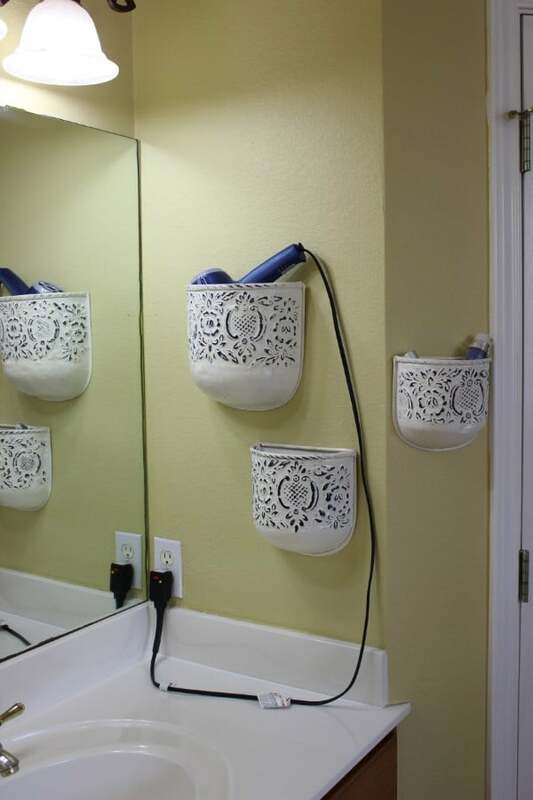 Instead of hanging plants in them, you just mount them to the wall and put your blow dryer, curling iron and other hair supplies inside. They look great in the bathroom and help you to save a bit of cabinet space. The best part is that you can pick these up for just a few dollars each and have them for all types of storage. White is a great color for making your bathroom look larger. If you want to add a bit of virtual space, consider revamping your bathroom mirror. Just add a fresh coat of white paint or if your mirror doesn’t already have a frame, just cut wooden pieces to fit and paint them white. It will completely change the look of the room and make it seem cleaner and bigger. 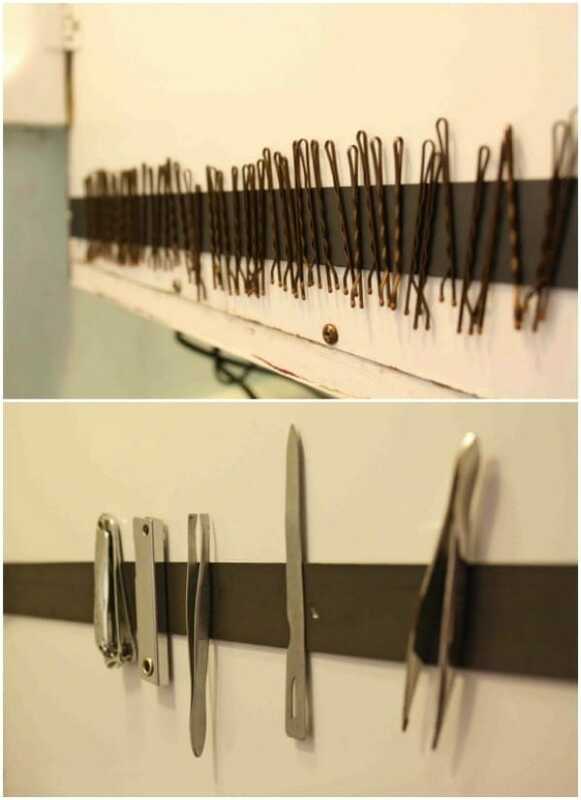 Want to be able to easily find clippers, tweezers and bobby pins? Why not just attach a magnetic strip to the inside of your medicine cabinet door? This is a great way to keep tabs on the things that you need and it takes very little time. Just cut the strip the length of your door, attach it with screws and then add those small metal items that you always have trouble locating when you need them. Hang a shelf above the door for additional bathroom storage that doesn’t get in the way. As long as your door is not nearly flush with the ceiling, you can simply build or buy a shelf that will fit above the door and add things that you need but don’t really have space for. This keeps things out of the way without taking up extra space or needing to put an entire cabinet in a small bathroom. 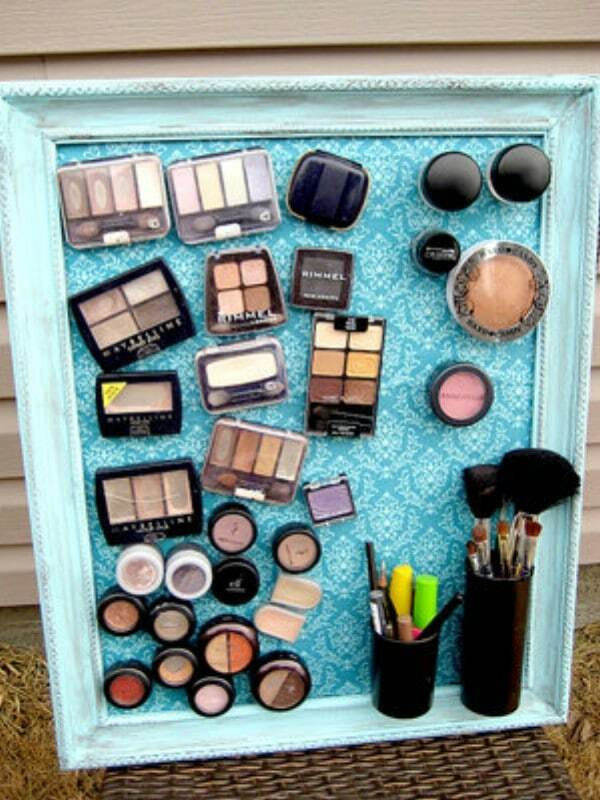 A magnetic makeup board is a must for smaller bathrooms. You just need an old picture frame, a metal sheet like an old cookie sheet, a few small magnets and a few other supplies. Instead of having to search through drawers to find the makeup that you want, it will all be right there together, organized so that you can find it easily. No one ever has enough towel storage space. 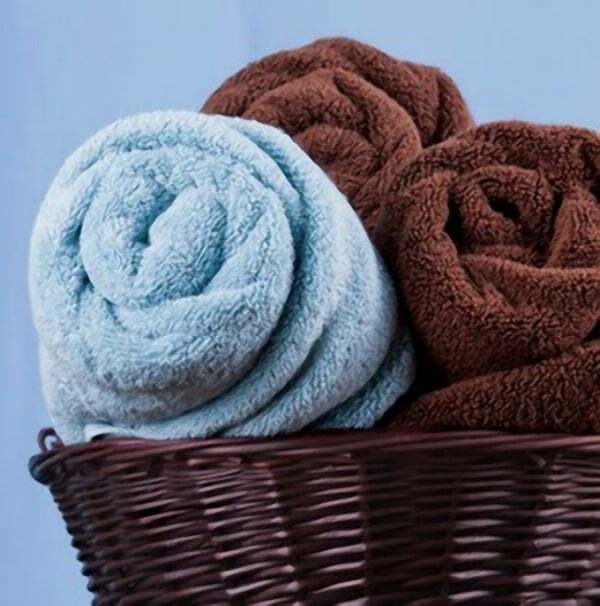 One great tip for towel storage is to roll the towels instead of folding them. This actually does take up less space so if your storage is limited, you will be able to get all of your towels on the shelf and maybe have room for more. You can keep them all in a large basket or stack them in a pyramid on a shelf. You should always make use of empty space and this includes the space on the back of your bathroom door. 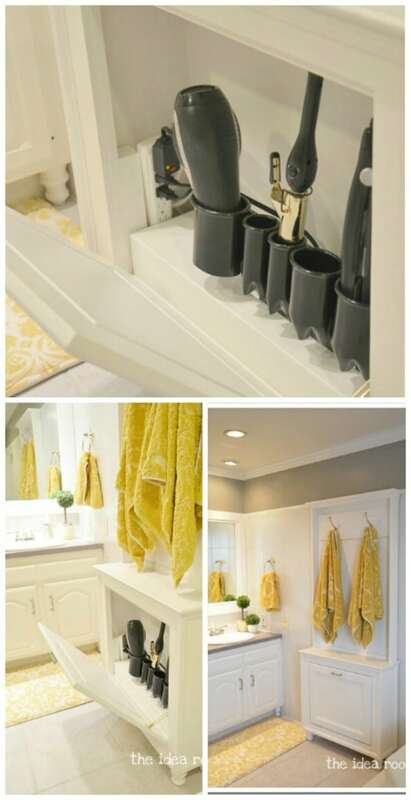 You can hang towel holders down the length, giving you room to keep several towels and washcloths. Use lower racks for small children so that they can get to them easily. 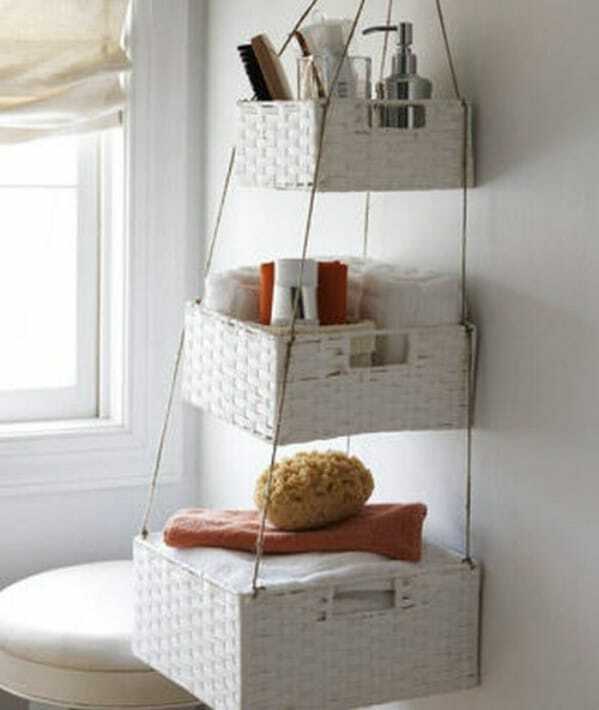 This not only solves some storage issues but is great for the décor of your bathroom as well. Okay, so lighted showers may not help with organization but they certainly help with the look and feel of the bathroom. 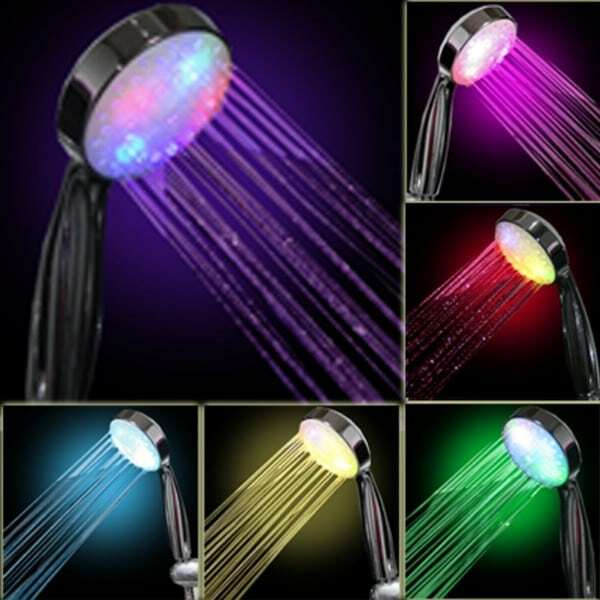 You can get shower heads that actually emit colorful light when you are using them. This is a great idea for romantic bathrooms or if you have kids, they will absolutely love taking a shower when there are colorful lights coming out of the showerhead. What a great way to get kids to stay clean! If you have small children then chances are you worry from time to time about hot water burns. There is actually a temperature sensitive LED faucet light that can help to eliminate the risk of burns from the bathroom sink. The water looks red when it is hot and blue when it is cold. 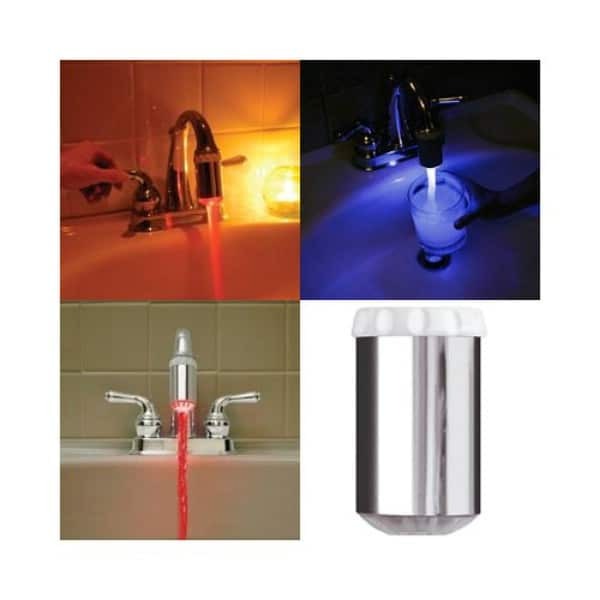 It changes color depending on the temperature of the water coming out of the faucet. This is great for those with small children or anyone who wants to add a fun element to their bathroom. Most of these are cute ideas. But some are not very sanitary. A lot of people do not realize how far toilet water splashes. Scientific fact. Google if need to. This maybe a solution: Close the lid any time the toilet is flush. That’s what we do. The pictures are great!! I wish I had such great ideas… but anyway, I’m planning my home renovation for next year. Thanks a lot for the inspiration and motivation! I love the BATHROOM LABELS, where can I find them ??????? I love the plant holder idea! Where can I get those same plant holders? Some super cute ideas in there. 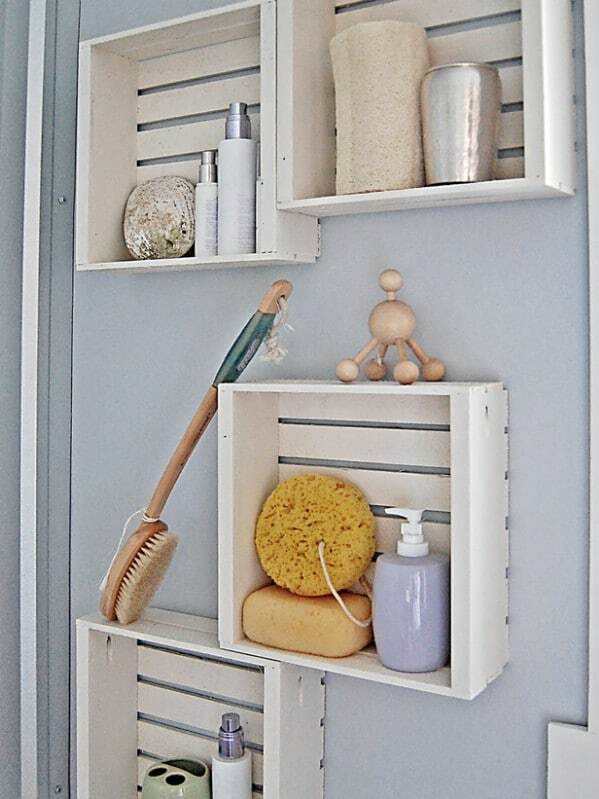 I’m definitely getting my hubby to build something like this https://www.etsy.com/listing/277486194/rustic-bathroom-organizer-made-from for our newly remodeled bathroom. You are one of the most talented DIYers I’ve ever seen. The use of images and step by step walkthrough was excellent. Thank you so much! I’m sharing this now.